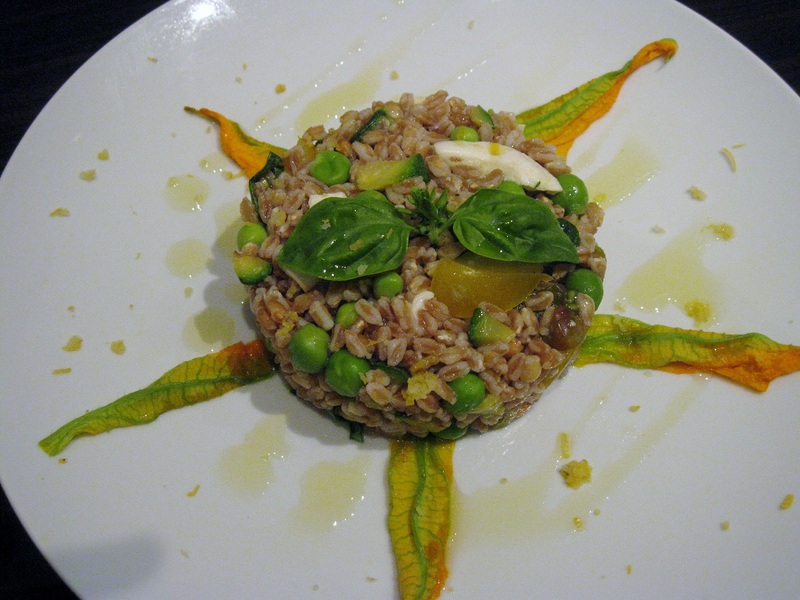 Before giving my farewell to Spring and prepare myself to welcome Summer, I wanted to prepare a dish that reflects this Season’s most important good news: the Sun. 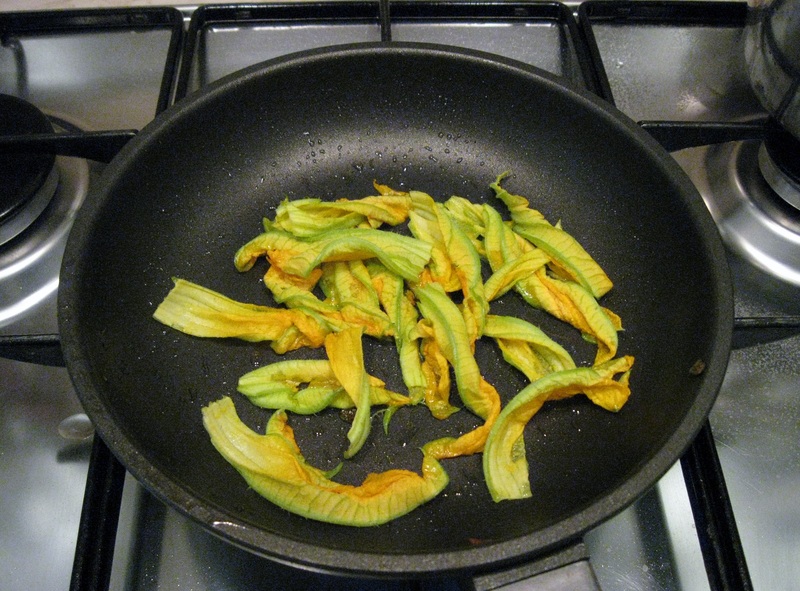 I bought a package of beautiful zuchinni blossoms (about 12) at the organic store near home. Notice the stunning color of these flowers!!! I am using 6 for the recipe and save the rest (about 5-6) to garnish the dish. For this recipe, I am also using a cup of cooked spring peas, one zucchini, and a beautiful mix of cherry and date tomatoes (about 6 – 8 tomatoes). 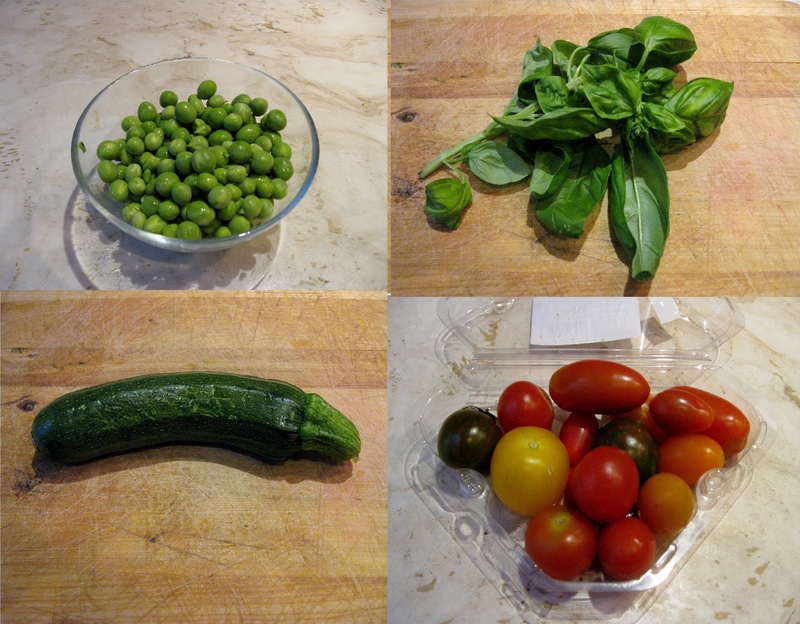 Because my idea was to prepare a hearty colorful salad, I thought about creating a concoction of Spring vegetables and early Summer vegetables, which are now available at local italian markets. To complete my Spring (and early Summer!!!) 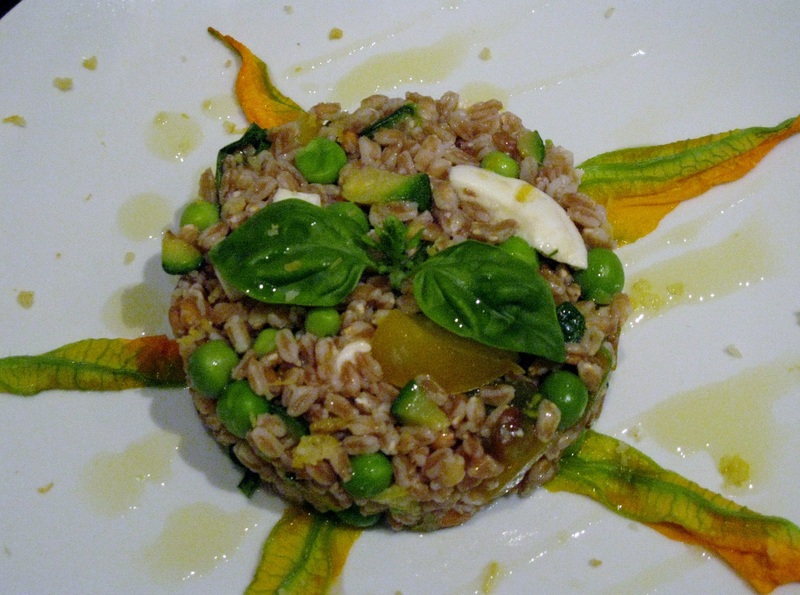 salad, I used a cup of farro – a type of grain widely used in Italy -, diced fresh mozzarella di bufala campana, and lemon juice (2 tablespoons). 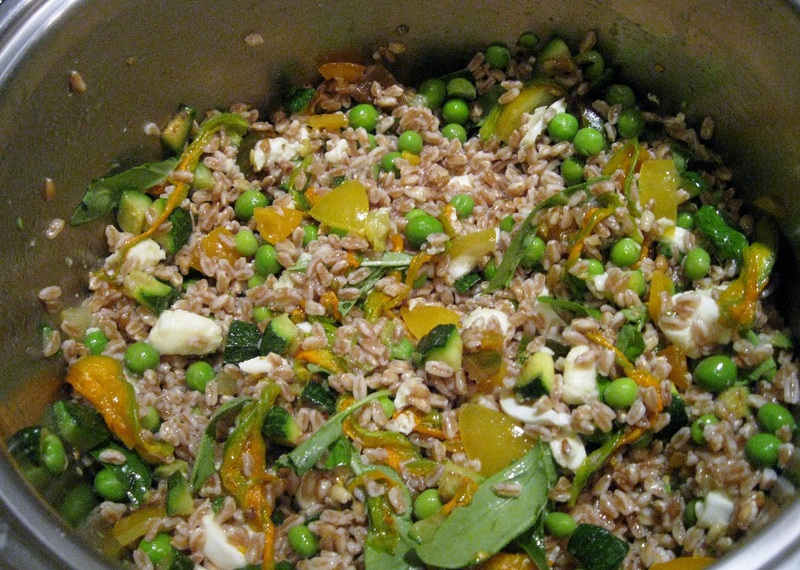 To cook farro, I boiled water on a pot, added salt, and farro. I then reduced heat to simmer farro for about 20 minutes. Finally, I drained it, and rinsed it with cold water. 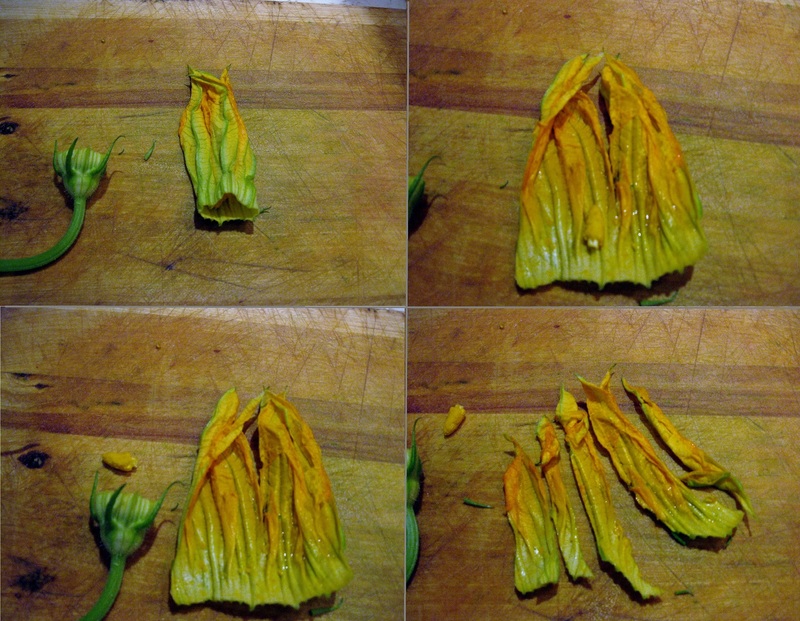 Although cutting delicate zucchini blossoms might seem difficult, it is easier than you think. First wash zucchini blossoms making sure they are dry before cutting. Carefully cut off the stems and remove the pistils. Cut zucchini blossoms lengthwise into strips. 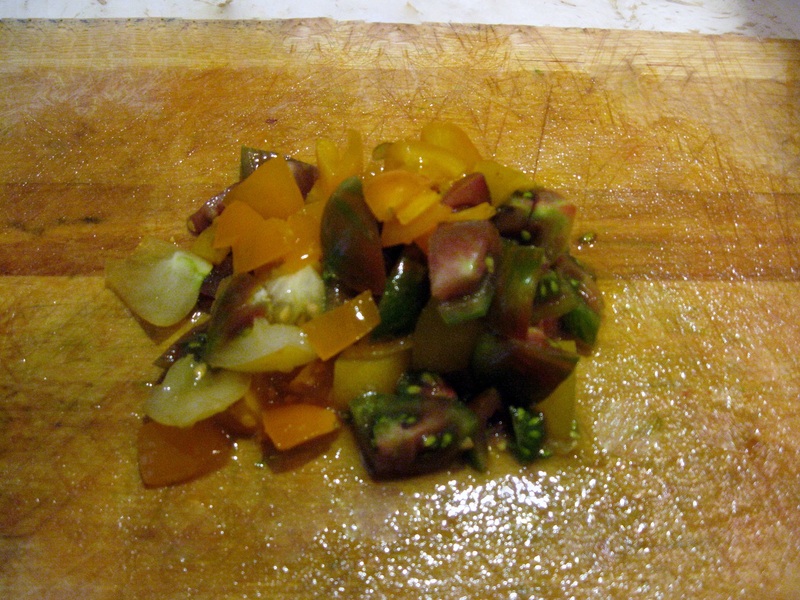 While I was dicing tomatoes (about 6), I observed with delight an array of different shape and colors in the package: date orange and red tomatoes, cherry yellow tomatoes, and cherry green and red tomatoes. I heated extra virgin olive oil on a medium sized skillet, placed zucchini blossoms strips, and cooked for only 5-10 seconds!! 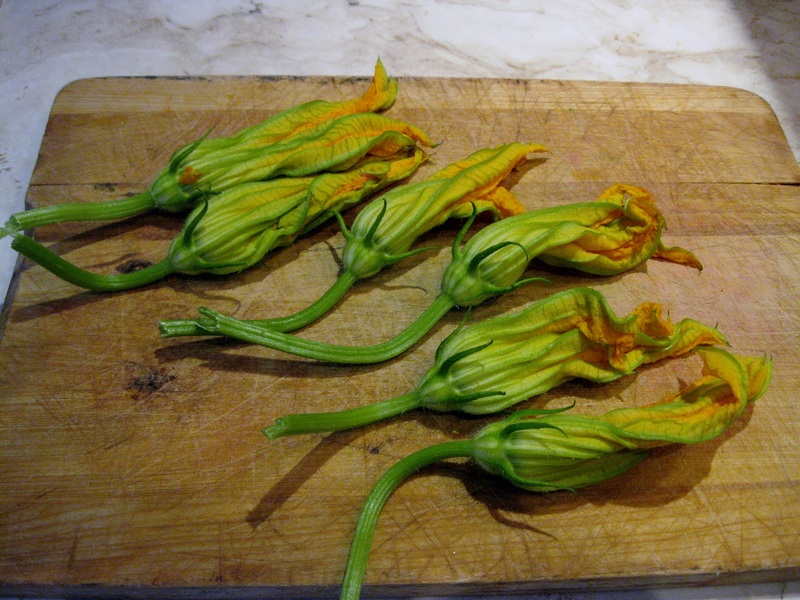 Since zucchini blossoms are so delicate, you do not want to overcook them. If you wish, you can also refrain from cooking them at all. 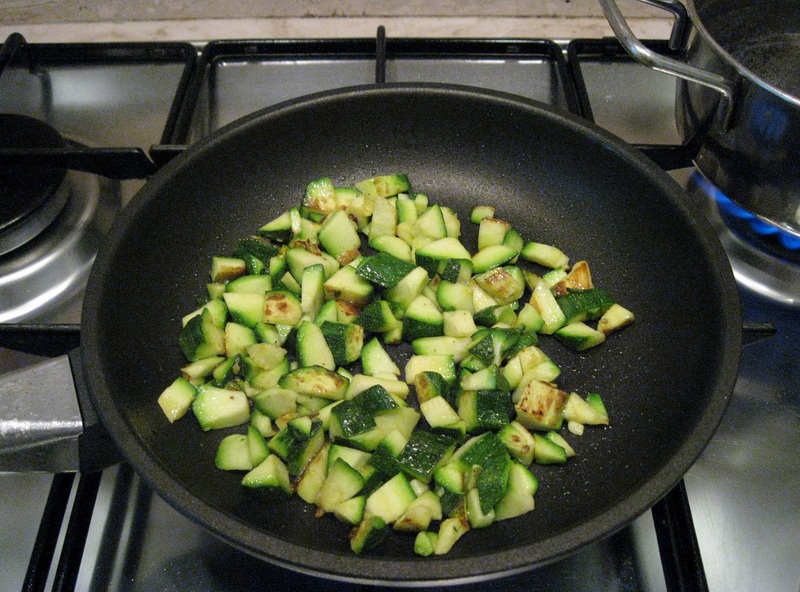 Using the same skillet, I heated olive oil over medium – high heat, and cooked diced zucchini until golden. 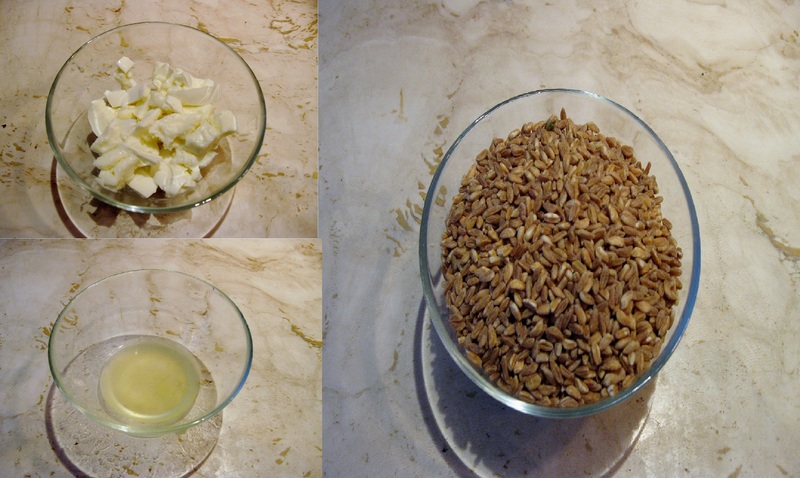 I combined all ingredients and mix them, added 3 – 4 tablespoons of olive oil, and salt and pepper to taste. 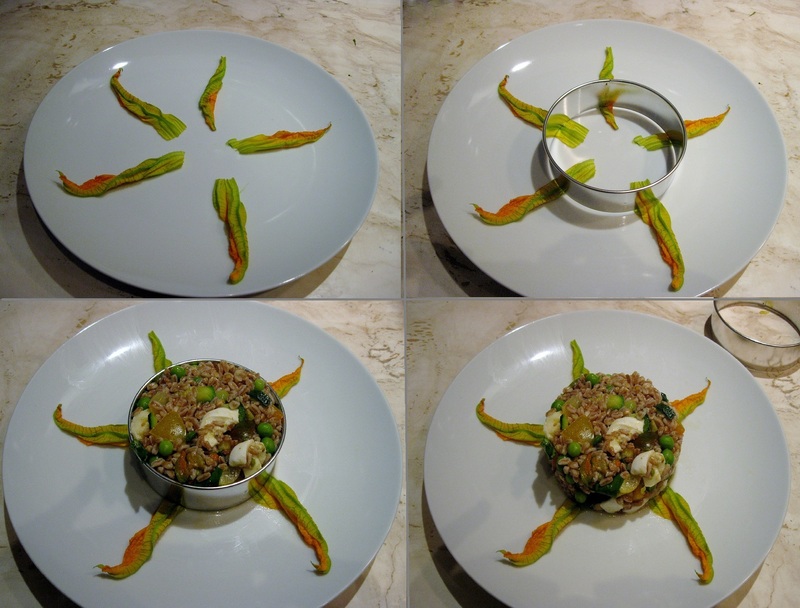 For plating the dish, I cut the remaining zucchini blossoms into four strips and arranged them evenly on the plate. My intention was to simulate the rays of sunshine!!! On the center of the plate, I placed a round plain pastry cutter and began filling it with the salad. When the cutter was full, I pressed the salad down to firm up. I left it for about 10 to 15 minutes to allow salad to compact, and finally took the cutter off. I finished decorating the dish by placing two basil leaves on the center, sprinkled with lemon zest and drizzled with extra virgin olive oil. A closer look of the dish. Serves about 5 portions.